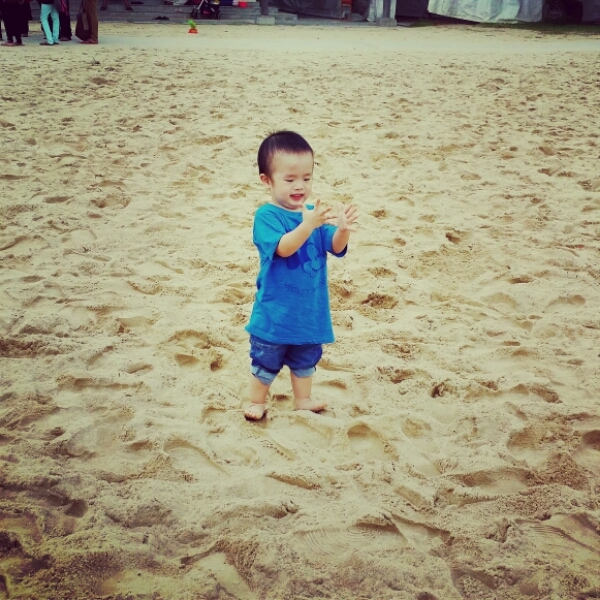 We were attending an event at Sentosa, and thought it would be a good idea to visit the beach. We found ourselves at Palawan Beach, which is about 15 mins’ walk away from the Beach Carpark. It was Ted’s first visit to the beach, although it wasn’t his first experience with sand. We did not bring any shovels or sandcastle building tools, but we had plenty of fun just monkeying around in the sand. It didn’t take Ted long to figure out the it was a lot more fun to go barefoot on the sand. When I pointed out the footprints we were making in the sand, he started to make handprints. 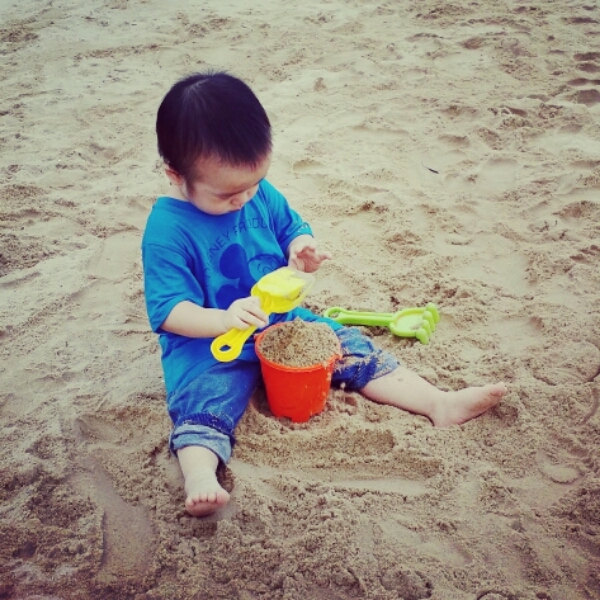 He soon discovered that the sand here was damp and stuck to his clothes and hands, unlike the sand he was used to in the playgrounds. We tried to make sandcastles with just our hands. We scooped plenty of sand and tried to pile them as high as we could. When we felt our sandcastle was big enough, we even tried digging a little moat around it with our hands. I hadn’t planned to get my clothes nor hands dirty, but it’s really no fun just sitting around watching Ted get dirty by himself. A couple of kids had left their sandcastle tools unattended while they played a game of Frisbee with their mother. Ted happily took advantage of the situation and made himself at home. 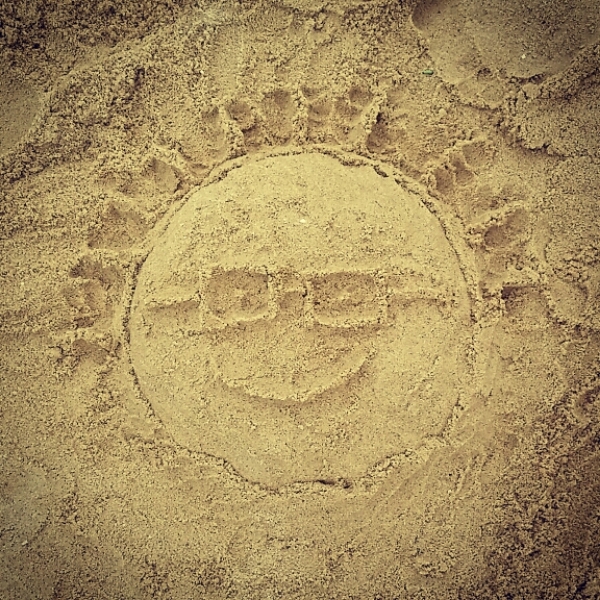 Meanwhile, no experience at the beach is complete without leaving behind a little message in the sand.